Item # 280273 Stash Points: 3,995 (?) This is the number of points you get in The Zumiez Stash for purchasing this item. Stash points are redeemable for exclusive rewards only available to Zumiez Stash members. To redeem your points check out the rewards catalog on thestash.zumiez.com. 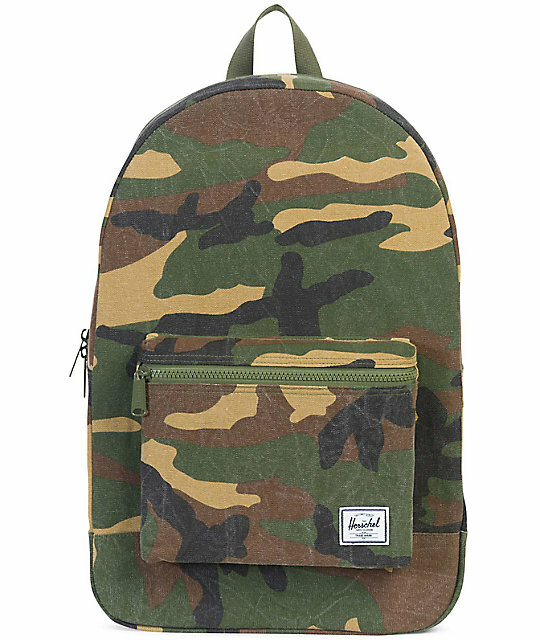 Herschel Supply Co.'s Packable Daypack offers an uncomplicated design with plenty of useful storage. 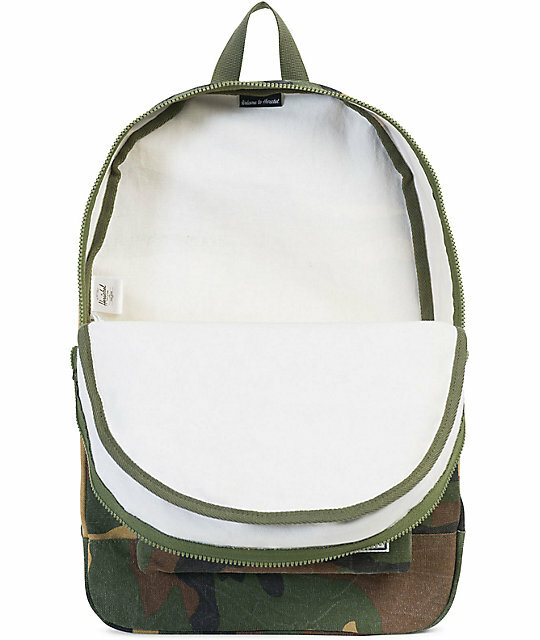 This backpack is from Herschel's Cotton Casuals Collection which aims to incorporate style, simplicity, and convenience all in one minimalistic, vegan-friendly package. 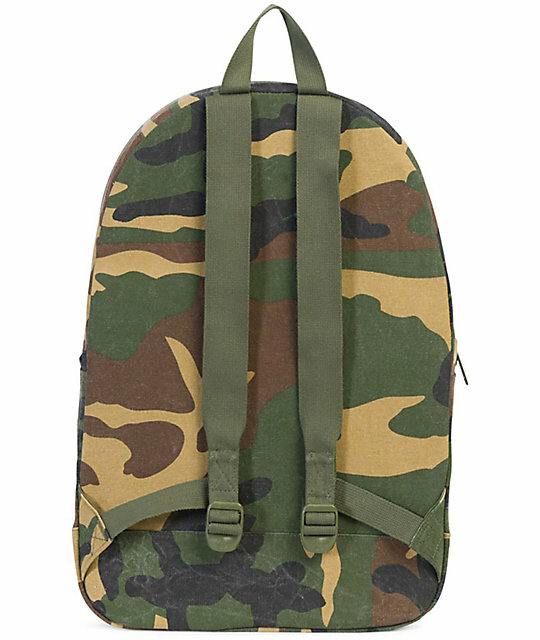 The Daypack Backpack is featured here in a classic camo design with adjustable shoulder straps and completed with exposed zippers. 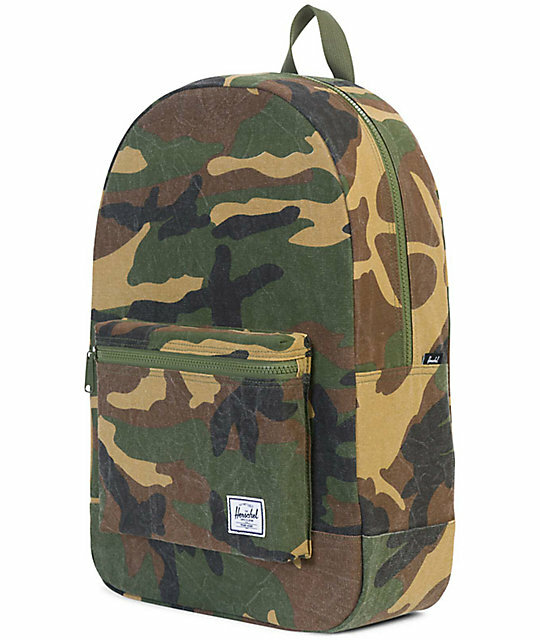 Daypack Camo 24.5L Backpack from Herschel Supply Co.
Classic green, brown & black camouflage. Dimensions: 17.75" H x 12.5" L x 5.5" D.